SAFE is a non-profit-making organisation that represents a range of stroke patient groups from across Europe. Our mutual goal is to drive stroke prevention up the European political agenda and prevent the incidence of stroke through education. 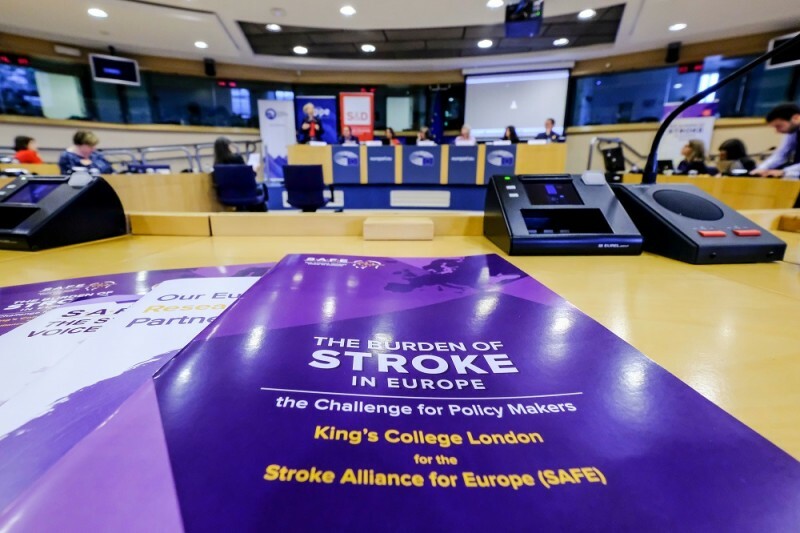 The European Parliament in June 2003 addressed the urgency of tackling the prevention of stroke at EU level to avoid unnecessary deaths and disability in an important workshop. The conclusion was that European governments must act to prevent stroke without delay. The participants in the discussion were internationally recognized researchers, representatives from the European Institutions and patient groups from across Europe and the conclusion also includes a 10-point action plan for the European Union and its member governments to combat stroke the third leading cause of death in most developed countries. In the 10-point action plan a key goal was to set up a European Patient Group for Stroke Prevention. In October 2004, 20 patient groups from across Europe joined forces and formed SAFE, the Stroke Alliance For Europe. SAFE carries on the work initiated in the 2003 Strategic Workshop, to help prevent stroke-related death and disability throughout Europe, by raising awareness both among the general public and the medical community on the link between stroke and hypertension, as well as other important contributing risk factors for stroke.